Soon we will know. After a campaign where no fact, poll, or dependent clause was beyond debate, we're going to start getting actual votes. Barack Obama's ground game will either live up to the hype or it won't. Mitt Romney will either win Ohio's 18 electoral votes and prove almost every poll wrong or he won't. Obama will either win Pennsylvania, Michigan, and Minnesota or David Axelrod will have to shave his mustache. The voters will finally speak, which reminds me of Mo Udall's line after losing: "The voters have spoken. The bastards." Here are some of the questions I'm hoping will be answered by the poll results and the exit poll tabulations. I've had such good luck with thoughtful reader responses recently, I'm also interested in what questions you'll be looking to have answered on Tuesday. Email me your ideas at slatepolitics@gmail.com. Will the popular vote winner match the Electoral College vote? Election watchers started to talk about this possibility when Romney led in the national polls but not in the battleground states. If it does happen, we may not know until after Election Day, as provisional ballots, military ballots, and mail-in ballots are tallied. Some Western states, not crucial to the battleground competition, may still be counting their vote for days. What economic question mattered most to voters? Obama has consistently polled ahead of Romney when people are asked which candidate cares about people like them. Romney has consistently out-polled President Obama when people are asked which candidate can better handle the economy. The exit polls should help us understand which question voters had in their head when they made their choice. How much has the electorate changed? 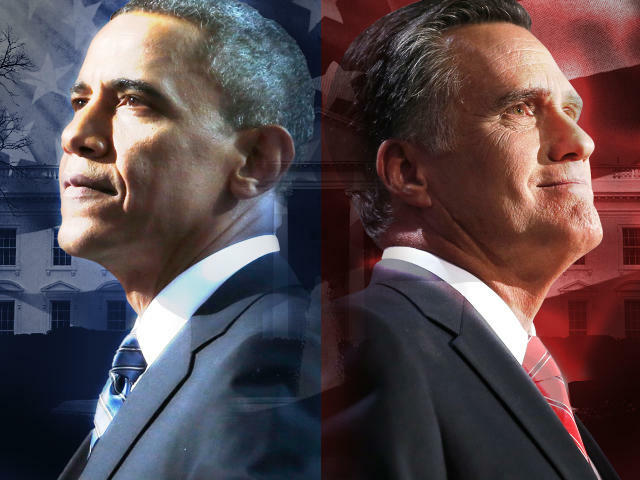 If President Obama wins, what will his coalition tell us about the electorate? In 2008, he won 80 percent of the minority vote and 43 percent of the white vote. Minorities represented 26 percent of the electorate and whites the remaining 74 percent. He is almost certain to increase his share of minorities, with such strong support from Hispanic voters, but will they turn out? The fewer of them who turn out, the more Obama will need to stick close to his 2008 share of the white vote. If Mitt Romney wins, it will be either by maximizing his totals among white voters--beyond the 55 percent that McCain received. (Ron Brownstein says he needs to get 61 percent. Gallup's most recent weekly data has Romney at 60 percent with whites.) Or, Romney will need white voters to make up more than 74 percent of the electorate. That's unlikely. Whites have declined as a portion of the electorate in every presidential election since 1992. Does Obama's coalition include white college-educated women? In 2008, Obama lost white men and women without college degrees and he lost among men who had a four-year college degree. But he won a 52 percent majority of white women with a four-year college degree. He's been going after that vote very hard this campaign by talking about pay equity, health care insurance for contraception, and trying to tie Romney to the abortion views of more extreme elements of the Republican Party. Will he keep his majority and maybe expand it? Who did blue collar white men in Ohio vote for? Nationally, Democrats traditionally lose the white blue-collar male vote. Walter Mondale only received 31 percent of their vote nationally. Obama won 39 percent in 2008, which was actually the party's best performance in a long time. In Ohio, Obama may do better because of his support for the auto bailout and his relentless attacks on Romney for embodying everything that caused the economic downturn--an outsourcer, a layoff artist, and a distant Wall Street-like executive. If Obama can hold down Romney's margins with this group, it might be his key to winning the state. Did the relentless ads in Ohio doom Romney? This will be hard to tell from the exit poll data, but if Romney does poorly with white working-class voters--a group Obama is doing poorly with in polls in the rest of the country--it may be attributable to the barrage of ads run against Romney in the state. Hopefully the exit polls will ask about the auto bailout as well as which candidate "cares about you." Answers to those questions might give us a basis for some early conclusions, especially if Obama does better on the "cares about you" question in Ohio with white male blue-collar voters than in other states. Did Obama build two different coalitions? If Obama wins in Virginia, Colorado, or Nevada, it will be because he combined suburban college-educated women, younger voters, and minorities. If he wins in Ohio, it will be with a very different coalition. To win nationally, Obama was supposed to build a minority-focused coalition and get around the bad economy. If he wins Ohio, it will likely be because he did better with nonminority voters and because of his contribution to the state's economy. Should Romney have introduced "Moderate Mitt" earlier? I'm not sure how we'd test for this in the exit polls, but based on the responses of the undecided voters I corresponded with, the governor's more moderate tone was highly appealing. By most polls, this race only got tight after the first presidential debate, when Romney unveiled his more moderate posture. If only he'd deployed it earlier, some undecided voters have told me. What if he did? Would he have had enough time to elbow Obama off the political center or would it have cost him the conservatives he always needed to be competitive? Are the kids alright? In 2008, President Obama received 66 percent of the 18- to 29-year-old vote. Young voters did not make up a significantly greater share of the electorate than before--only 18 percent--but Obama got a much bigger percentage of them than John Kerry did in 2004. Will his margin remain as big and will they turn out in significant numbers? How will the low unemployment swing states vote? There are five swing states with unemployment rates below the national average of 7.9 percent: Iowa (5.2 percent), New Hampshire (5.7 percent), Virginia (5.9 percent), Wisconsin (7.3 percent), and Ohio (7 percent). There are four swing states with a rate above the national average: Nevada (9.6 percent), Florida (8.7 percent), North Carolina (9.6 percent), and Colorado (8 percent). Nevada has the worst rate in the country. Seventy percent of the houses have mortgages that are worth more than the property. Yet Obama is likely to do well there--and without an auto-bailout to champion. Perhaps it's all about demographics in Nevada (26 percent of the state is Hispanic, making it the largest relative percentage of Hispanics in a battleground state). In other words, demographics keep Obama competitive, but he must rely on enough low unemployment states to break his way to win. Who had the better ground game? The Obama team's vaunted ground game banked a lot of early votes. Republicans say that they will be able to make up their deficit on Election Day. We'll know soon whether Democrats only turned out their usual supporters in early voting--cannibalizing their numbers--or whether they found new voters, turned them out early, and then still held strong on Election Day. What is the relative health of the Tea Party? In the Senate contests, Republicans are counting on some conservative candidates like Todd Akin and Richard Mourdock whose recent missteps may cost the Republicans their chance at controlling the Senate. On the other hand, Ted Cruz, a Tea Party favorite in Texas, will win and is poised to become a strong conservative voice. Depending on which Senate candidates win and whether the Republicans take control of the Senate, we'll get an early sense of the sophomore reputation and development of the movement that was so crucial to the GOP victories in 2010. Did the selection of Paul Ryan change the map at all? Before Obama won Wisconsin's 10 electoral votes in 2008 by 14 percentage points, the state was very close. Al Gore won it in 2000 by just 5,000 votes. In 2004, John Kerry won it with just 11,000 votes. How close will it be this year and will that be attributable to Paul Ryan? Obama won Ryan's district by 14,000 votes in 2008, but George W. Bush carried it with 27,000 votes. In 2000, Al Gore won it by 4,600 votes. If Romney doesn't win Ryan's district, how much can the veep pick have been worth? Did seniors get spooked by Medicare? Democrats traditionally lose the older vote. Obama lost it by 8 points in 2008. Seniors represented 22 percent of the vote in Florida, one of the highest in the country. (Seniors only make up 18 percent of the vote in Ohio, for example.) Will Obama get more than 45 percent of Florida's seniors, which is what he got in 2008? Paul Ryan's plan for Medicare vouchers were supposed to move some seniors into the Obama camp. But maybe the relentless years of advertisements against Obamacare turned off elderly voters for good. Did Romney out-perform McCain in his red counties? John McCain really did not turn out the Republican base in 2008. In 44 states Republican turnout was down in 2008 from the previous election. Can Romney fire up the team across the board? Will there be ticket-splitting? We look at the presidential map, and the ideologies of our country seem fixed. There are red states and blue states. But in the Senate races in Indiana, Arizona, Montana, Massachusetts, and Missouri, candidates from the "other side" are doing well. The races are close, demonstrating that the nation is more purple than the maps charting the presidential contest suggest. There are also some interesting Senate races in the battleground states of Wisconsin, Ohio, Florida, Virginia, and Nevada. Will voters pick a Senate candidate of one party and a president of another? The most interesting place to watch that will be Virginia. Democrat Tim Kaine looks strong going into the home stretch. Watch how voters in Henrico, Hanover, Chesterfield, and Richmond County vote. Kaine was the former mayor of Richmond, the city surrounded by those counties. That might get him more votes than president Obama which could mean Kaine could win the state while Romney does too. The candidates should spend the next 24 hours volunteering, not campaigning. Why doesn't Mitt Romney have to use his legal name on the ballot?